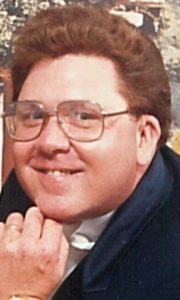 George P. Read, Jr., 71, of Lititz passed away Sunday, February 3, 2019 at his home. Born in Jamaica, NY he was the son of the late George Read Sr. and the late Florence Read. He was the husband of Mary A. (Howard) Read with whom he shared over 30 years of marriage. He worked as a postal police officer for the US Postal Inspection Service for over 37 years, retiring in 2002. George served as a past police fire arms instructor and was a talented shooter where he won several awards and was a member of the Fraternal Order of Police. After retirement, George went to work at the Wal-Mart in Ephrata in the meat department and then as a people greeter which he really enjoyed. George was a big Advocate for Alzheimer’s. George was a fourth degree knight in Knights of Columbus Council #4191. He is survived by a daughter, Theresa M. Read of Los Angeles, CA and other extended family. A Mass of Christian Burial will be at 11AM on Saturday, February 9, 2019 at St. James Catholic Church, 505 Woodcrest Ave, Lititz, PA 17543. A viewing will be held on Friday, February 8, 2019 from 2-4PM and 6-8PM with the recitation of the holy rosary at 7:30PM at the Charles F. Snyder Jr. Funeral Home & Crematory, 3110 Lititz Pike, Lititz, PA 17543. Another viewing will be held from 10-11AM before the mass at the church on Saturday. Interment will be private. In lieu of flowers, contributions in George’s memory may be made to the Alzheimer’s Association, Greater PA Chapter, 706 Rothsville Rd, Lititz, PA 17543. My sympathies are extended to the family of George Read. I was so sorry to hear about his passing. I was an Assistant Manager at WalMart while George worked there. He was a kind person, a great worker who always got his job completed. He was someone I respected and enjoyed working with. God’s peace and grace to all of you. We wish to extend our deepest sympathies to George’s family over his recent passing. We enjoyed his visits to our office. He will be missed and remembered. Dr Kilgore & Irene & Kathy, staff of Lititz Podiatry.